It's the question that will never die. Do you have a great, situation-appropriate answer every time? Or do you even cringe a bit, yourself, when you hear yourself describe what you do? Download this resource for inspiration on what to say next time. Send me some new inspiration! There is nothing worse than the polite nods, the confused smile, and blank stares. We can do better. The question "What do you do?" is never going to go away. So make it a conversation starter. 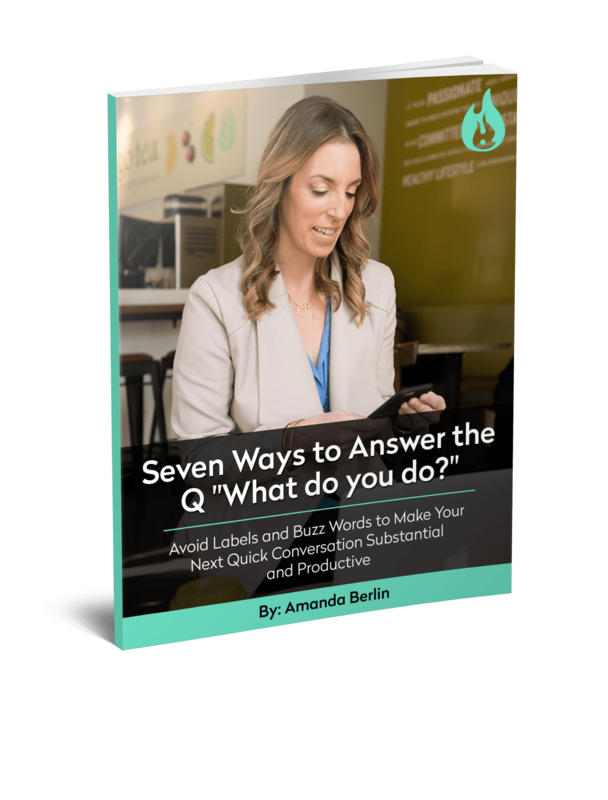 Download this free guide for inspiration on new ways to talk about what you do so that you really connect with the person you're talking to and create a potentially profitable, and definitely substantial, relationship.